$ 6.00 per child for more than 20 children. 1 hour of jump and playtime. $ 7.00 per child for more than 18 children. 1 and 1/2 hour of jump and playtime. $ 8.00 per child for more than 15 children. 2 hours of jump and playtime. $25 room clean up fee if you would like to use the party room for sack lunches or snacks. You can add pizza and drinks to your field trip, too. Call the store for more information. Room clean up fee waived if ordering pizza and drinks. 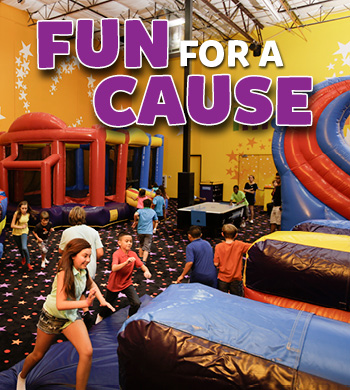 Now offering a discount for groups of 10 kids or more. 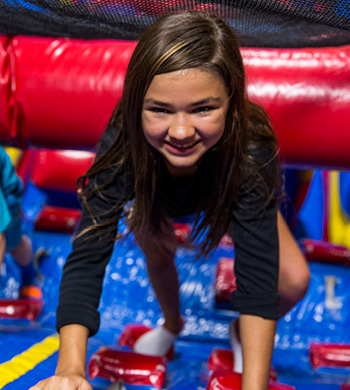 Gather your Mom's group or a family of friends to come have a great time of play at Pump It Up! You will save $2 off the regular price for Open Playtime. Group discount is available for Open Playtime only. Discount will not be given for special events.